As a world-renowned composer and an incredibly in-demand orchestrator, Penka Kouneva is a favorite of ours. Not only is she successful in film and TV, Penka has become a force to reckon with when it comes to games. She’s put her touch on uber-popular games like Gears of War 2 & 3, Prince of Persia: The Forgotten Sands, and Transformers: Revenge of the Fallen. We thought it would be fun to pick her brain and get the gritty details of what it takes to develop a great game theme. And to demonstrate, she was awesome enough to analyze the Gears of War 2 theme “Hope Runs Deep” by her frequent collaborator, star composer Steve Jablonsky. We hope you enjoy our new and ongoing series: Main Theme Analysis. Steve Jablonsky composed a theme rooted in the aesthetics of Remote Control Productions (Hans Zimmer, Harry Gregson-Williams). The main ingredients of this style are a hybrid orchestra, modern synths and percussion, and a memorable melody for the COG army soldiers (Marcus and Dominic). The thematic melody (alternately epic and personal) instantly identifies the protagonists and the game. The identifying features of the “sound” are: relentlessly propulsive string groove under the soaring melody; futuristic ticking percussion groove; syncopated big beats in low strings, low brass and big drums; full orchestra and full choir; a modern, dark harmonic palette; and a transparent, well-crafted long-scale structure that has the thematic development of a Beethoven symphony, while at the same time being essentially a song form (Intro – A A B A – Coda). One of the questions I wanted to explore in this blog is what makes a theme memorable and what makes a melody stick in your mind. Arguably, the Gears of War 2 theme is distinctive and memorable because the earnest melody for the COGs is repeated with varying harmonization, in different orchestration densities and energy levels. It is featured in both heroic style (the first “A” themes) and also in more elegiac, emotional style (the “A” themes in slower tempo at 3:03). The formal structure has the clarity of a Beethoven symphony — each restatement of the theme comes as inevitable after what preceded it, creating an ever-intensifying emotional arc. However, the form more precisely is an extended AABA song form, with a long intro, an elongated “A” (after the “B”) and a long Coda. The orchestration has a crucial role in reinforcing each restatement (variation) of the theme and in our perception of the large-scale form. 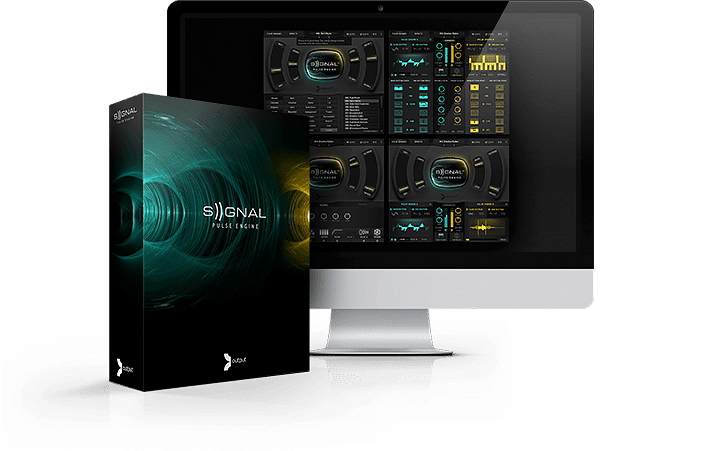 Each statement gets more intense with new instrumental colors getting layered and sounding progressively louder and more dense. The balance between repetition and thematic variation keeps our attention glued to the theme, without ever feeling bored. The “B” theme introduces the greatest thematic contrast and emotional payoff as the orchestration reaches its greatest mass and intensity in fortissimo, with the soaring choir. All of these thematic approaches brand the game as a military science-fiction shooter and set the mood for the hero COGs in the dark futurist planet Sera where they will battle the monstrous Locusts. One of our big tasks is to cultivate a deep, immersive knowledge of the game genres and the corresponding musical genres (adventure, fantasy, sci-fi, western, racing, etc…). During this process of close, analytical listening, we must discern what musical elements serve as “signifiers” of the genre (choices in arrangements, orchestration, production, sound; specific melodies, harmonization, textures, figurations, and riffs for any and every genre). Musical Signature: Because of its power to identify the game and “brand” the franchise, every game score needs a musical “signature”. It could be a memorable theme, motif, or even a riff, but usually it’s the combination of a signature theme, chord progression, and “production sound” (style). The musical style is often defined by the game genre and its conventions. Musical Elements: The composer needs to choose and craft musical elements that suggest the game world. The musical elements include melody, rhythm, harmony, structure, arrangement, orchestral colors, texture, dynamics (loudness), overall sound and aesthetics (hybrid orchestral, electronica, traditional orchestral). Melodic Theme: Most strong melodic themes share some common traits: they are singable and they evoke a clear emotion that the listener can relate to. The structure of the theme is easy to follow by balancing repetition/predictability with variation/fresh motives, in both the melodic phrases and the rhythmic patterns. Harmonic palette: The harmonic palette is a choice that strongly defines the genre. Consider the difference between a modal score that suggests Americana, from a mostly minor heroic chords and “power chords” that make up a shooter like Modern Warfare, and how this harmonic syntax for a modern shooter is different from a heroic tactical shooter with a patriotic feel, like SOCOM 2 (the patriotic theme would have minor chords mixed with major chords). Instrumentation: The choice of instruments reflects the aesthetics of the score. The orchestral or instrumental colors make the theme memorable and distinctive. For instance, the modern hybrid sound of Gears of War 2 relies heavily on dark percussion and grooving strings. The traditional, bright and sparkly orchestral colors of Microsoft’s Kinect Disneyland Adventures suggest the aesthetics of Disney family adventure films. The function of the game’s theme is to set the world, story, and characters for the game, as well as to create an emotional, evocative, and immersive experience for the gamer. The ability of a game composer to capture all of this in a theme is a most vital skill. One of the most important jobs of a game composer is to compose distinctive, compelling, memorable themes. Themes act as a “sonic” signature for the game, and will define the genre, the storyline, the characters of the game, and ultimately serve as a powerful identifier of the game’s brand. Penka’s composition awards include: SUNDANCE Composer Fellowship, two Ovation Awards, The Copland Award, Hollywood Music in Media Award, Independent Music Award. Penka is on the Advisory Board of Game Developers Conference, Mentor for G.A.N.G Scholars (Game Audio Network Guild) and an Advisor for the Sundance Institute. Her 1st cinematic orchestral album A Warrior’s Odyssey (2012) was released on Howlin’ Wolf Records/Sumthing Else Music Works, and her second orchestral album The Woman Astronaut (2015) was released on Varese Sarabande. Penka was also an orchestrator on the Transformers, Pirates, Matrix franchises, a Lead orchestrator on Elysium, Ender’s Game, Need For Speed (films); and on World of Warcraft, Starcraft II, Gears of War 2, 3, Sims 3, Diablo III, Dragon Age II, Bloodborne (games). Penka holds the first-ever Ph.D. degree in composition from Duke University and is passionate about mentoring and sharing opportunities with her younger colleagues. 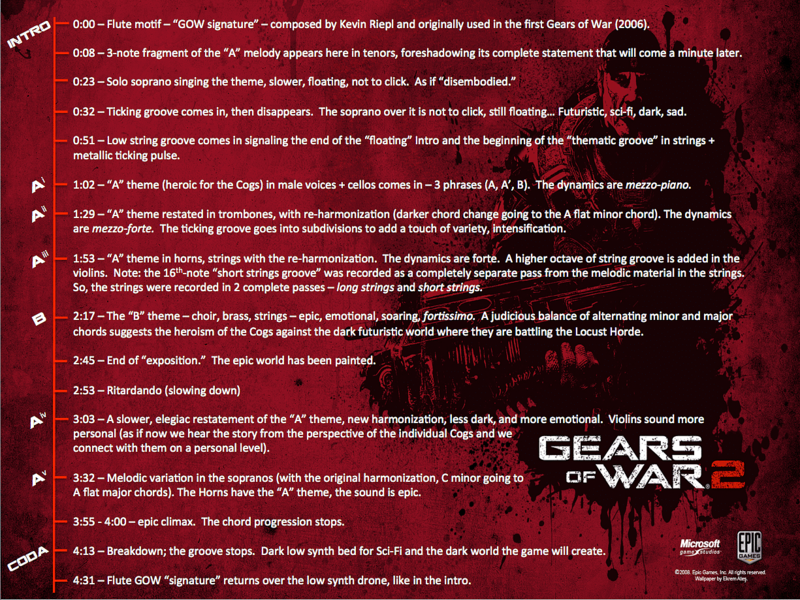 In 2012 I had just worked on Gears of War 3 composing additional arrangements and lead-orchestrating the entire score. I was so inspired by this great score by Steve Jablonsky! Then I had a few free months and decided to compose a few spec themes for shooter games, just to master composing themes in the GOW and Modern Warfare vein. This is how my first concept album A Warrior’s Odyssey was born – from a desire to grow as an artist and to practice the skill of composing themes. I had such a great time that I could not wait to compose a 2nd orchestral concept album. (Well, The Woman Astronaut took almost 2 years.) The intent was the same – to practice the skill of composing game themes. Each of the 14 tracks tells a story, and there is also an overall emotional and narrative arc. Each track follows a song form or classical form (AABA; ternary form with intro and Coda; simple ABA; verse/chorus; or a through-composed form with a leit-motif that comes back in various guises). The harmonic syntax changes progressively from “light / innocent” (adolescence) to “dark” (adulthood) as we go on a journey from Track #1 to Track #14. I worked on my skills to create memorable melodies that one can sing long after the track has ended. Each track creates an emotional arc of its own. The amazing REV library is featured in The Woman Astronaut and I can’t wait to sink my teeth into SIGNAL for my next projects. The biggest soundtrack label Varese Sarabande released THE WOMAN ASTRONAUT on July 10, 2015. Check it out. Hope it will inspire you to compose great themes. A great book for composers coming out on October 1st is Chance Thomas’ Composing Music for Games: The Art, Technology and Business of Video Game Scoring. Chapters in it are devoted to the composer’s toolkit (musical elements, structure, harmonic syntax, great melodies) and on how to develop the skills to compose great game themes. I strongly recommend this book; it is one of the most eye-opening and inspiring books for composers (and not just game composers) that I’ve ever read.